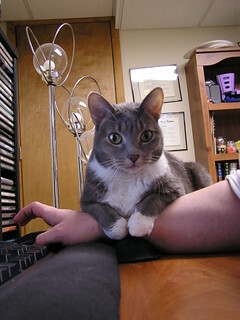 Nikita "aka Mouser", in one of her favorite resting positions. I'm very pleased with this, as I was able to capture it one-handed with my non-dominant hand, and without having any way to frame or focus. Naturally, it has taken me a few attempts to get it right.